WASHINGTON — The Commerce Department reports on July sales of new homes Tuesday at 10 a.m. Eastern. 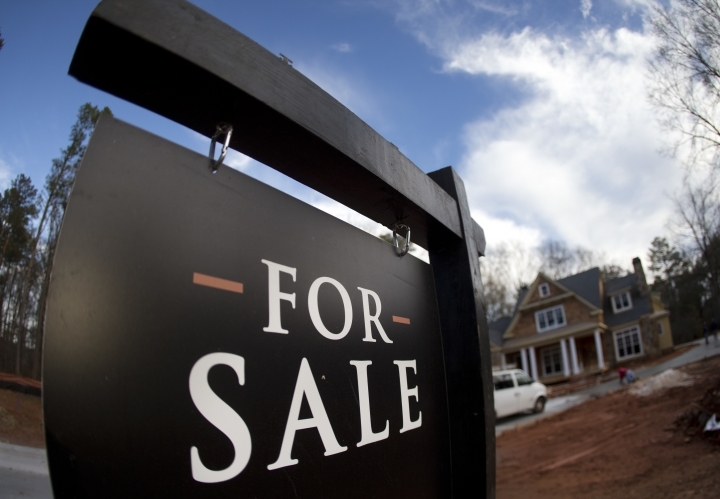 SALES SLIP: Economists believe that new-home sales fell just over 2 percent last month to a seasonally adjusted annual rate of 580,000, according to a survey by the data firm FactSet. This would be a pullback from an annual sales rate of 592,000 in June, the highest level since February 2008. VOLUME PICKS UP: Construction of single-family houses has picked up this year, a sign that builders see more buyers in the months ahead as mortgage rates have held near historic lows and unemployment hovers at a healthy 4.9 percent. Relatively few listings of existing homes on the market have steered more would be-be buyers into newly built houses. Still, sales of new homes still lag the historic pace of roughly 650,000 a year. A government report released last week showed steady gains in construction for single-family houses. Ground breakings for houses have climbed 10.6 percent year-to-date. This marks a sharp reversal from prior years in the recovery from the Great Recession when a large share of the increase in residential construction came from apartments. June's median sales price rose 6.1 percent from a year ago to $306,700. Just 4.9 months' supply of new homes is listed for sale, well below this historic average of six months. Builders continue to be optimistic. The National Association of Home Builders/Wells Fargo builder sentiment index released Monday rose two points to 60 following a downwardly revised reading of 58 in July. Readings above 50 indicate more builders view sales conditions as good rather than poor. Low mortgage rates are feeding much of this confidence. Mortgage buyer Freddie Mac said the average 30-year fixed-rate mortgage fell to 3.43 percent last week from 3.98 percent a year ago.